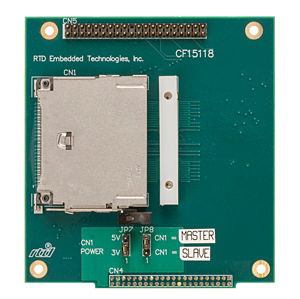 CF15118HR CompactFlash Carrier - RTD Embedded Technologies, Inc. The CF15118 provides a single CompactFlash socket for removable storage. 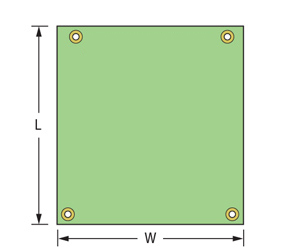 It is for use with our cpuModules that have built-in EIDE controllers (i.e. Pentium-M, Geode LX, Celeron ULV). The CompactFlash socket is not hot-pluggable. Can stack through to second drive carrier. 40-pin 0.1” EIDE connector to attach another drive.